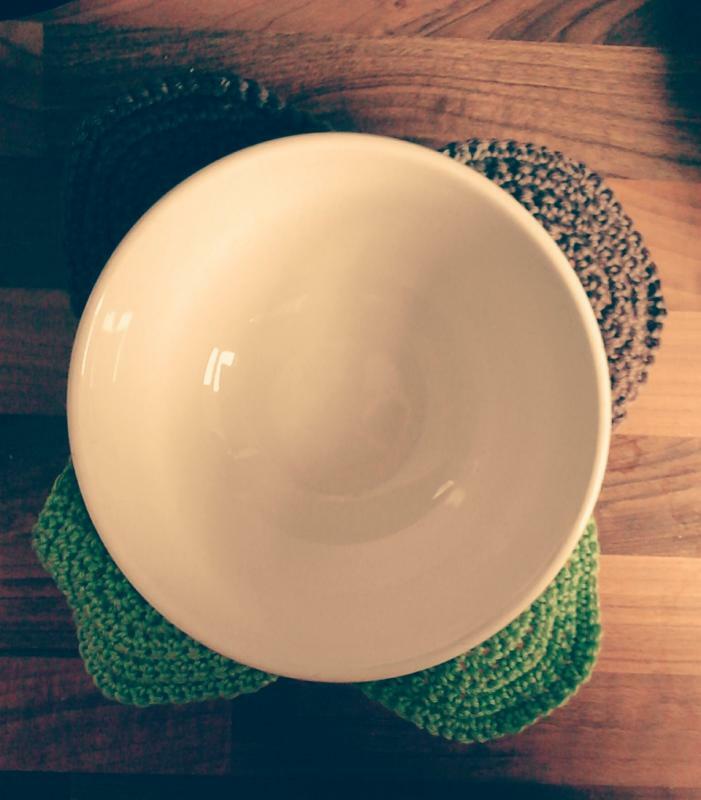 I am having a bit of a slow week, but did manage to make The Hellions a bowl cozy each for their morning porridge, I gave up trying to photograph both. But I still do not get it because you call that "bowl cozy". And what I see it is like a coaster underneath. 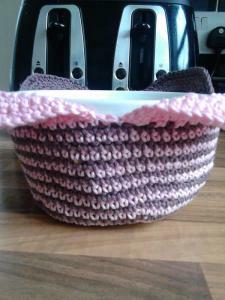 Is that what it is a flat crochet piece under that bowl?. Or is there something else on sides of that bowl I can't see on that picture? That will be my terrible photography skills, it covers the whole bowl to insulate your hands from the hot whatever inside. That's a better picture. Brilliant idea! Very nice and a great idea. That is awesome! So fun, my kids would love those. It is basically an hat with "petals"
Great idea. Especially for those of us who like to eat in front of the TV. That's a SUPER idea for when you're eating in front of the TV!! That looks like it would catch any drips on the "petals"! !